The Flying Ship in Russian Drama Theatre buy tickets online. Delivery of tickets for the event The Flying Ship. Production center “Art4people” organizes both its own and joint theatrical productions at the leading theatrical venues of Russia. Among the joint projects of the center, one can single out the performances "Summer Wasps Bite Us Even in November" (directed by Alexander Bergman, with Tovstonogov Bolshoi Drama Theatre) and "The Solar Line" (directed by Viktor Ryzhakov, with the Meyerhold Center). Among the independent productions are — the play "Illusions" directed by Wojciech Urbanski and the musical "The Flying Ship" staged by Egor Druzhinin. The show is loosely based on the eponymous animation film. A widely acclaimed story plot has been rewritten by the authors and new versions of songs were created, along with incredible decorations and costumes. We end up with a remarkable story, where the list of familiar characters is spiced up with toads, mermaids, princes, janitors and the Pie Man. Baba Yagas (the old witches) sing rock-n-roll and Vodyanoy (a spirit who lives in the water) plays French jazz. 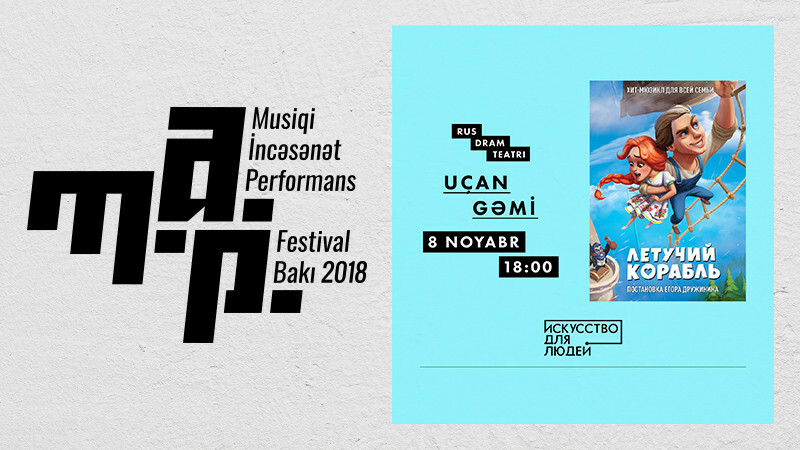 This brilliantly hilarious tale for children and adults was directed by Egor Druzhinin, one of the most acclaimed musical directors and choreographers in Russia. Druzhinin is a former child star, who became famous in the USSR after his lead role of Vasechkin in the “Adventures of Petrov and Vasechkin”. You’ll hear the old songs and the new tunes by Maksim Dunayevsky and Yuri Entin. Be ready for some of your favorite tunes, sparkling humor and a lot of dancing — a dazzling show that celebrates love and dream!